St. Vincent and the Grenadines is a country in the southeastern Caribbean. It is made up of the island of St. Vincent and about a hundred small islands (32 isles) lying along the coast of the Grenadine chain. The mountainous St. Vincent is the country’s largest island and its highest point, Mount Soufriere, is an active volcano. The people of St. Grenadines rely on ferries to travel between the many islands. Most of the islanders live an average life and work on farms. Many of them are descended from African slaves or European settlers. A few are descendants of the Caribs who came from South America in about 1300. Both the French and British forces arrived in the 1600s, but Britain won control in 1783. The British brought African slaves to work on their farms. During the 1900s, St. Vincent and the Grenadines gradually gained more freedom from Britain, becoming fully independent in 1979. The Tobago Cays Marine Park is a dream destination especially if you can explore it with a sailboat and anchor near the islets. The ever-present wind is cool and it's very special to see turtles graze on the bottom of the sea while swimming. The islands are uninhabited except for one. It is wild with nature, lots of colorful fishes to see, swim with turtles, go behind a lagoon, touch a shark, race with the moray eels, and see a beautiful reef and 5 small uninhabited islands, only turquoise sea, fine white sand and coconut trees. Snorkeling on the reef is beautiful; you’ll see lots of coral colors and shapes, colorful fish and nursery sharks that swim along. It is also a land of iguanas, and in the evening, you can enjoy dinner on the beach served with grilled lobster. It is certainly suggestive. The night and the starry show go above you. The wind always sweeps the clouds. The harbor lights, those of Mayreau and Union Island, are distant enough not to be disturbing. The sky is manifested by a fantastic amount of bright stars, so close to be confused with the lights of the trees of the boats. It is not hard to get distracted for hours lying on the deck with the nose. The wind on the face will keep you up just enough to make you daydream. Most of the guests who have seen it think that Tobago Cays, perhaps, might be similar to HEAVEN; and indeed it is. To see well from all the keys of Tobago just go to Mayreau, climb to the top just after the church and you‘ll see a beautiful postcard view of the island. The Princess Margaret Beach is easily accessible if you are in the rubber boat in the bay of Port Elisabeth, by taxi or 30 minutes walk from the town center. You can snorkel and dive and there is a well stocked bar on the beach. Enjoy the tranquility of the crystal clear waters, the safety of its sand and delicious food that is served in the restaurant and you'll be exploring the outdoors from morning till late and watch the place come alive at night with various live band shows from the bars and restaurants facing the beach side area. It is one of the best beaches on the entire island. It pays to shop around and spend the day in this beautiful beach but do not forget the mosquito repellent. The beach is located along the Bequia bay on the Pacific side characterized by perfect calm water with no high waves. It is a quiet and peaceful beach with a good restaurant (Jack's Bar) that has good lunches, shows, etc. Port Elizabeth is a cozy place on Bequia filled with lovely people, nice shops and a stunning waterfront location, this port cannot be missed when in the Caribbean. The Port Elizabeth is where you can find the most shops, markets and restaurants (even in the off season there is enough choice and they don’t close). The place has a nice flair and it’s easy to stroll through the streets and do not forget to visit the "blue church” or the Cathedral on the south side. Port Elizabeth is a large bay full of boats and buoys anchored or moored sailboats. It’s an impressive and busy small town from the water. Guests who land on this side enjoy a tour of the town walking and enjoying the warmth of the locals. There are restaurants everywhere, internet sites, markets with fruits and vegetables, local regional items, nautical items and bookstores. You can safely browse the coast that is very warm and the scenes or images that are available are as varied and beautiful that leaves you perplexed. There are water vendors that offer food from their boats. 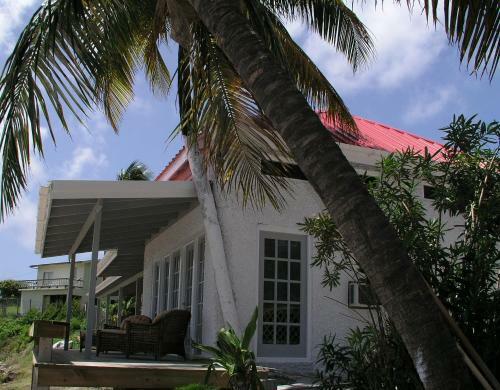 Be sure to go and visit this idyllic place in St. Vincent and the Grenadines (SVG). The Old Hegg Turtle Sanctuary is a turtle reserve that helps the tortoises to grow and live in peace. It is a humble place but the staff put their best effort and heart to help preserve these animals on this island. You can make a donation and help their cause if you buy at least one of their different colored shirts with turtle designs. The work done by the owner of the place is really admirable and seeing turtles up close is an amazing experience. This little turtle protection center is very convincing. If the only purpose of your visit is to sunbathe at the beach, do not go! But if you want to leave enriched by the knowledge and experience "drop in the ocean" of this ancient island and go. Kids will enjoy the experience especially when the explanations and answers to their curious questions are clear. The site is one of the most interesting conservation areas that the island offers. Industry Bay is a secluded part of the island that has no electricity, facilities, Internet, in short, a real nice place if you need to get away from the hustle and bustle of everyday life. It offers a back to the basic approach to island life without the necessities of modern living and conveniences in an experience that is truly worth trying. The water forms the most beautiful colors, from blue to turquoise to blue light, in this bay you can take a bath at the beach restaurant and also shower before returning. The beach area does not have any infrastructure but the environment is very inviting. The Lower Bay Beach is a long ribbon of white sand where the waters get a little rough because of the strong winds, but also turns out to be very pleasant in calmer times. You can enjoy some snorkeling to the very end on the left and at the bottom part of the beach. Just be careful because there are lots of poisonous sea urchins and unfortunately some plastic bags between two waters left behind by careless beach goers. The beach is certainly a top ten in the Caribbean and one of the not to be missed attractions in the island because of its turquoise water, fine sand, and good snorkeling spots. You can rent beach chairs and very close from here are typical restaurants where you can have a feast or a nice dinner right by the ocean. The beach is usually very quiet with few people and suitable for those who love the sea and tranquility. The Friendship Bay is a great beach but located on the Atlantic side of the ocean and not along the Caribbean Sea. Depending on the wind and weather conditions, it can get very busy and marine plants that float and gathered by the strong current eventually make it less enjoyable. However, if the coast is clear and the waves are not high it is a perfect swimming spot that both kids and adults can enjoy. It is located close to the hotels facing the beachfront area and another must see attraction of the island. 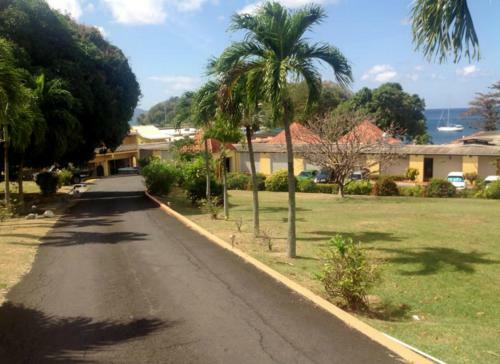 The Montreal Gardens is one of the best examples of the triumph of nature in St.Vincent and the Grenadines. The entire area plus the garden is already lovely on its own. From here you can see a lot of impressive natural attraction surrounding the island. The Mesopotamia Valley on the island of Saint Vincent is a charming place that consists of the Montreal Gardens. Here you can admire flowers of colors and shapes that you can only see on this island. You can make a pleasant and easy walk along the paths of this impressive garden, but every corner reveals exotic plants, flowers with triumphant bright colors, towering trees and it is also not difficult to meet these wonderful small insects or small lizards that embellish the visit and make it more engaging. It is not possible to describe more clearly about the wonders of nature in this place, so it’s advisable to not miss this garden if you find yourself in Saint Vincent and the Grenadines. Mopion is a tiny islet that is less than 100 square meters of extension but totally covered with fine white sans. It mixes with the tides and the wind that continues to change its structure and appearance. What remains unchanged is the umbrella of palm leaves which is planted on the island and that proves very useful if you want to stay on this Sun-drenched beach during the summer season. The sea surrounding Mopion is extremely transparent and clear, with a lovely blue and equipped with a small reef to protect the beach and providing lots of opportunities to snorkel and dive. Obviously it is reachable only by boat because it is located between the islands of the Grenadines. For easy access, you can rent a catamaran coming from the Petit Saint Vincent and Union Island. Mopion is mostly composed of a tiny atoll of white sand located at the southern part of the Tobago Cays Marine Park. It is composed of a few square meters of sand and a lone thatched umbrella (often referred to as the “romantic engagement umbrella” because most wedding or engagement proposals occurred there) surrounded by clear blue sea, a wonderful coral reef with multicolor marine life and many fish, shells on the shore. It’s a daydream island that is worth knowing and exploring. The La Soufriere Cross Country Trail is an ideal site for the adventurous nature lover. In the event that you need to investigate nature in a tropical rainforest setting and you need a good cardio exercise, this trail is a must if you’re in St. Vincent and the Grenadines. The trail involves climbing up a challenging route with the view of a dormant volcano on the side. The stunning view at the top is straightforward and awesome, and it’s more than worth the trek up. You get to see both sides of the island and a marvelous perspective of the volcanic crater. Fort Charlotte not only offers the great views of the island, it is also very informative. You’ll not only enjoy breathtaking views from the fort but with the help of a guide you will also learn a lot about its interesting history and significant role in the islands of St. Vincent. There are some areas that are prohibited to enter and a small portion of the fort is now used as a women’s prison. As such, the fort is indeed unique and spectacular, but the view is outstanding. It is worth to go there once, even if the path is a bit difficult. The Fort Charlotte is located along the western side of Kingstown on a mountain. You’ll admire the great vistas of the city and the Grenadines (especially Bequia). The fort served as a backdrop for the movie "Pirates of the Caribbean". There is almost nothing described in the fort, only in a small house where there are some pictures of the early settlers of the Caribbean island to admire complete with text. You cannot miss the view from the fort because you can see all of Kingstown. 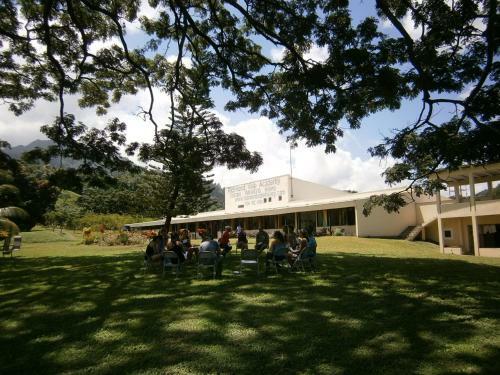 The Botanical Gardens in Kingstown is one of the oldest attractions of the West Indies. The entrance fee is 2 USD without a guide. In the park you will find various tropical plants and even a 230 year old baobab with 15 meters in circumference. The garden is on a slope and is therefore in the tropical part of the island that is quite strenuous to climb but worth it. It is best to come early in the morning (otherwise it is very hot) or in the late afternoon. The garden offers great variety, small, clean, well organized and the guide has amusing stories to tell. In the St. Vincent Parrot section a caretaker can lead you around and help feed the birds. You will be led close to his cage as you watch the parrot eat the bird feed out of your hands. A great experience! The Petit Tabac is more famous around here as the “Island of Jack Sparrow". The attraction is easily accessible and can be reached by boat from the island of St. Vincent and is quite popular here because it served as the prime location for the famous film "Pirates of the Caribbean". The entire island island is not big, but it is visually impressive. You will see lots of tall palm trees and fine, white sand. It’s a long, narrow strip of land where you’ll see on one hand rocks and cliffs and beach on the other side so you can take a short walk from end to end. The sea is clear and the showcase of different shades of blue is spectacular and it invites you to just dive for a swim or go on a snorkeling tour along its colorful and rich reef. If you visit in the late afternoon, the view of the sunset and the long shadows make this place even more magical and exotic. If you pause to look among the low bushes under the palm trees, you may find dozens of hermit crabs and related measures conch in thousand of colors. The Macaroni Beach is one of the best sites to visit early in the morning in St. Vincent and the Grenadines. If you wander around in the morning or before sunrise the climate is very pleasant and the beautiful beach is mostly deserted making it a delight to walk, swim, snorkel, and admire the views with all the privacy that you need. However, the waves are stronger on this side of the island and taking a dip is recommended only for proficient swimmers. Overall, a tour of the beach is a delight to accomplish as it is one of the most beautiful beaches of the island. Spending the holidays on this multi-island Caribbean country offers a blend of tropical rainforest eco-endeavors, fun diving and snorkeling adventures, excellent Caribbean powder-white sand shorelines, extravagance settlement and yachting or cruising experiences. Be sure to include St. Vincent and the Grenadines in your bucket list of the most awesome travel destinations to explore in the Caribbean.